Although often mistaken for a bee, the wasp is an entirely different species. In fact, there are more than 100,000 different types of wasps alone. Most wasps have alternating stripes of color on their bodies, usually black with yellow or orange. Wasps are broken down into two main categories, social wasps and solitary wasps. Solitary wasps do not construct nests and spend most of their time living on their own. Social wasps exist within colonies of thousands of other wasps. In many cases, colonies are made up of sterile female workers with only the queen mating with the males. Wasps prey on almost every other type of insects. Furthermore, they sometimes lay their eggs in other insects, using them as hosts. They do this most often with certain species of spiders. However, once they mature they generally only eat honey. 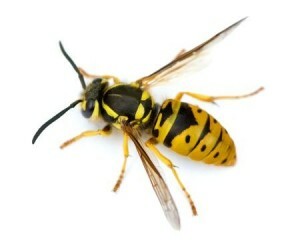 If wasps have invaded your home, contact Amherst Exterminators today.